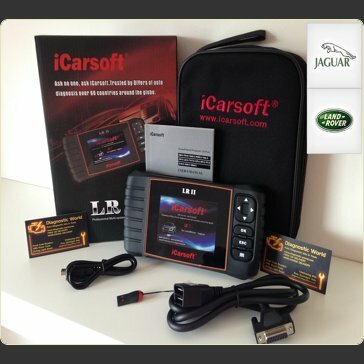 LR II is a professional and powerful vehicle fault diagnosis tool developed by iCarsoft Technology Inc. With a 4" TFT LCD and unique diagnostic software, it features full ECU diagnosis of single vehicle brand and test modes mainly include: CANBUS, ISO9141, KWP2000, J1850 etc. It will enable technicians to accurately diagnose complex problems. ● LR II can do it all-reads and clears trouble codes on all the systems such as engine, transmission, ABS and airbag etc. ● Oil Light/Service Reset:Support service lamp reset, Brake pad reset function, Steering angle sensor calibration etc. ● EPB:Opens and closes the brake pads,Reads and clears EPB/SBC trouble codes,Turns off the ECU and brake warning light,Diagnoses EPB/SBC caliper functionality,Resets the brake pad thickness service etc. ● ABS/AIRBAG:Diagnoses ABS/ SRS system codes,Reads/clears codes of ABS/SRS system and turns off ABS/SRS warning light,Performs bi-directional tests such as cycling the ABS solenoids, Retrieves ABS/SRS ECU information etc. ● DPF Regeneration & Reset: Will allow you to do DPF regeneration & reset lights & EOLYS counters. 5. Freeze Frame -- When an emission-related fault occurs, certain vehicle conditions are recorded by the on-board computer. This information is referred to as freeze frame data. Freeze Data is a snapshot of the operating conditions at the time of an emission-related fault. 8. Evap System Test -- The EVAP test function lets you initiate a leak test for the vehicle's EVAP system. Before using the system test function, refer to the vehicle's service repair manual to determine the procedures necessary to stop the test.